When the internet made inroads in our lives in late 90’s, it steered a new era of communication. Proliferation of chat applications such as; Yahoo, MSN, ICQ, Rediff etc. reduced our reliance on expensive phone calls as text not voice that dominated the human-to-human interaction. With the Large-scale adoption of mobile devices and ever-increasing sophistication of mobile technologies, including the availability of 4G LTE and fibre optics networks – it is surprising that we’re still clinging onto the ‘text interface’. 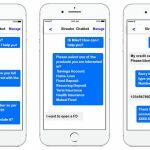 Initially, texting with bots seemed exciting, however it didn’t deliver optimal value. Typing on mobile screens with family and friends is convenient, however conversing with bots through text might not yield the same experience. 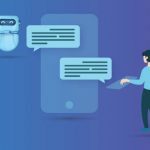 Rather than debating the superiority of Chatbots OR Voice Assistants, technologists are finding ways with which chatbots and voice assistants can co-exist and, putting their efforts in integrating them to get the best of both the worlds. The idea for any brand is to become omni-present where they try engaging with their consumers through multiple channels (Web, Mobile Apps, Chat and now through Voice Assistants). This coexistence can easily be seen through the focus and incremental investments by major technology players such as; Amazon (Alexa), Microsoft (Cortana), Facebook (FAIR) AND Apple (Siri). These and the major retailers and consumer services providers around the world are working on building platforms that integrate chatbots and voice-assistants. 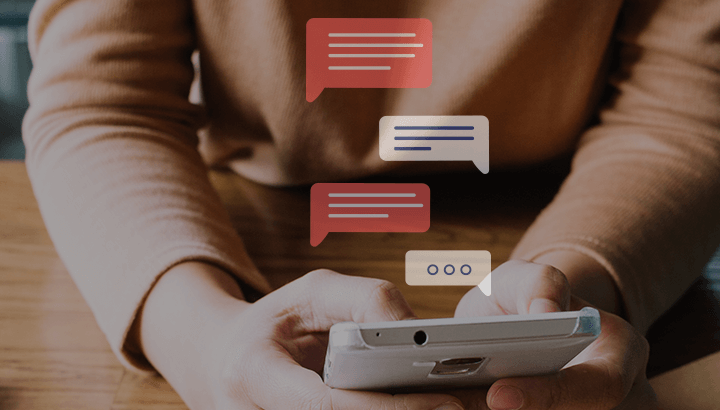 Industries have already started embracing the benefits of Artificial Intelligence and the Natural Language Processing, a key component in building the successful chatbots and voice assistants. Leading us further to this phenomenon are the usual tech-suspects like IBM Watson, Microsoft’s project Oxford and Google’s DeepMind. 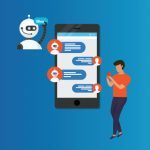 The year 2018 has clearly lay out the foundation for what’s coming in years to come and as we reach the half-year mark, let’s look at some key trends involving the chatbots and voice assistants. Amazon is making big strides in ‘home service market’ with their Alexa capturing 70% of market share. Clearly, Alexa is way ahead than its intelligent peers such as Echo, Cortana etc. Alexa allows wide range of integration touch points and will soon allow itself to be embedded into almost any device. Alexa a more ‘social’ of all with their integration touch points targets less ‘tech-savvy’, while Google has a technology-match, they’re targeting more of developers and literally owns the ‘Mobile Voice-Assistant’ market with 50% share. While you can see Microsoft’s Cortana in almost all windows devices (with the largest share in personal computing market), it hasn’t taken off as much as expected. They’ve already tie-up with Amazon, and this is significant considering the recent announcement of – Alexa for business. While there is a less possibility to dominate, they’d surely survive. Almost all the software giants have their suites of employee productivity apps and are selling them hard to get it adopted by the enterprises. There was a time when it was only Microsoft and their office suite however the late entrants such as Keynote and Google Docs are syncing in. What is important is that all these already have the integration with their voice assistants and feature AI capabilities. In fact, Amazon and Microsoft partnership holds the biggest promise. More than these, consumers like you and I will get to see the developers blending and integrating various apps / bots with voice assistants, e.g. we will be able to block our work calendar from home OR check our personal one while at work. There is no doubt that winning at the enterprise market will surely secure a greater footprint at home too! AI and Voice Assistants are pushing enterprises to think beyond the ‘obvious’ and allowing technology to further its sophistication and consumerization. In 2019-20 expect to see things, that we thought would have been unlikely a year ago and impossible 5 years ago! With cloud facilitating, democratization of mobile technologies and AI services, we’re seeing smart apps and chatbots being adopted widely. With more people using them, more data that flows through their AI engine and better their intelligence. AI is also making two-way, contextually aware communication possible, making our routine mundane tasks easier and faster to complete. For example, with a simple voice command, you can build your shopping list and check – when does D-mart close? In fact, one can set reminders to go out, to cook and even sleep! Very soon, Starbucks will allow its customers to call-in orders while on their way to the nearest store and get their freshly brewed coffee minutes later! Like discussed above, voice bots would not only make our personal lives better, but also add immense value to our life at work, becoming our virtual assistant, making us more productive. But with so much to offer the biggest challenge for enterprises is to build them, manage changes in them and responding to market dynamics – all at once! To make these tasks easier, Streebo in their labs, have leveraged some of the industry leading NLP engines such as; IBM Watson. and their low OR no code automation tooling – DX Accelerator (Powered by IBM DX Manager and IBM Cloud) to build a chatbot builder that helps enterprises cut the overall cost of developing these interfaces in half! Leveraging the ‘code once deploy everywhere philosophy, enterprises can roll-out web, smart apps and chatbot interfaces via single source code, helping them in go-market at significantly lower cost in future! There is no doubt that voice has always been the most natural and human conversation interface, enterprises need to make the most of it and embrace it sooner as the typing will become a memory of the past!